All you need to know about Pokémon in one single image. 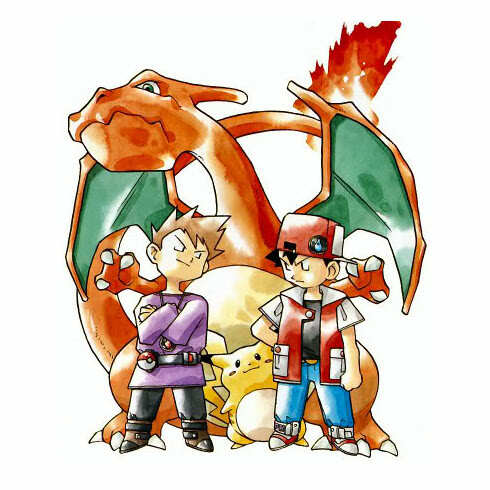 Pokémon, which is a shortened form of Pocket Monsters, started in the mid-nineties as a series of games centered on the eponymous creatures. The universe of Pokémon essentially revolves around a sport in which Pokémon are made to fight each other under the direction and the supervision of human Trainers. As such, the main game mechanic is to discover all the different species of Pokémon existing in the world - hence the "Gotta catch'em all!" slogan, which used to be ubiquitous in the early marketing of the series - and build your own team of fighting companions. What started as a humble GameBoy game has since grown into an immense franchise with several manga adaptations, copious amounts of merchandise, and a still-ongoing anime adaptation which has been running since 1997 and, at this point, we're afraid it might never end. Back when it all started, the series boasted 151 different Pokémon; the number then ballooned to 251, 386, 493, 649...Perhaps at some point we'll reach a thousand of these monsters, and the day will come where I will no longer be able to keep their names straight. Here's a nice selection of completely different Pokémon. 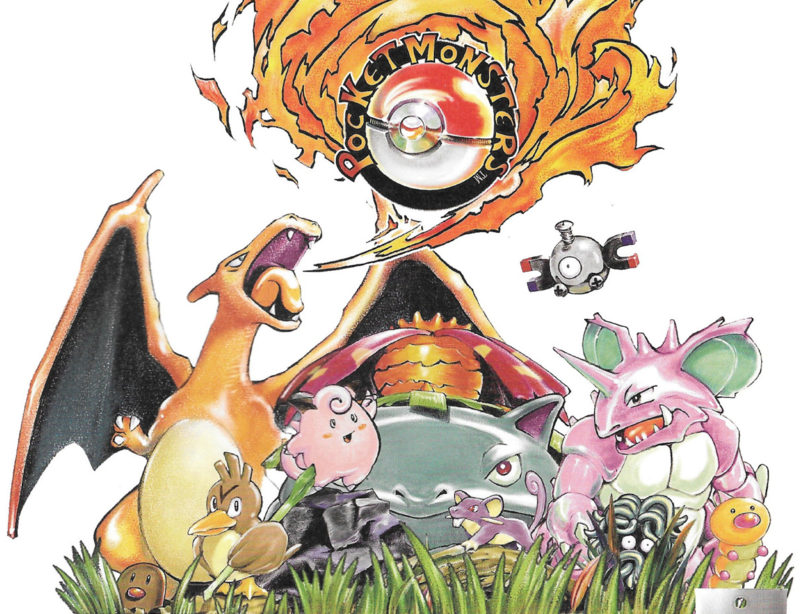 This illustration appeared on a card pack for the Pokémon Trading Card Game; the full illustration was then released in the Pokémon TCG Illust Collection artbook. From the way I've been speaking, you've probably guessed already that I'm an old fan - I learned of Pokémon when the animated show finally found its way to Italy, in 2000. At the time, I was ten: the perfect age to start my Pokémon adventure! What immediately caught me about Pokémon, even when there were "just" 151 of them, was how many and how diverse their designs and concepts were. You had creatures like Clefairy and Jigglypuff, pink and fairy-like; you had big scary bugs like Scyther and Beedrill; you had creatures that resembled real-world animals, like Meowth and Vulpix, and you had creatures that you couldn't as easily link to a living counterpart, like Abra or Lickitung. There truly was a Pokémon for everyone! And so the question was born: what is your favorite Pokémon? Back then, if you had asked me, I would have told you that my favorite was either Moltres or Flareon; I didn't have a clear favorite like some of my friends (who'd answer CHARIZARD and run away roaring). A little later, Pokémon Gold and Silver came out, and with them more Pokémon! This was the first time that more Pokémon were introduced, and we were all so stoked. The games turned out to be great, and most people I talked with at the time loved the new Pokémon just as much as the old ones. But probably the one feature that got us all the most excited about was the introduction of two new types of Pokémon: the Steel type and the Dark type. And that is where I realized where my true allegiances lay. "Dark type Pokémon! ", I told myself, "Pokémon that are linked to darkness! How cool is that?". "What will they look like?" 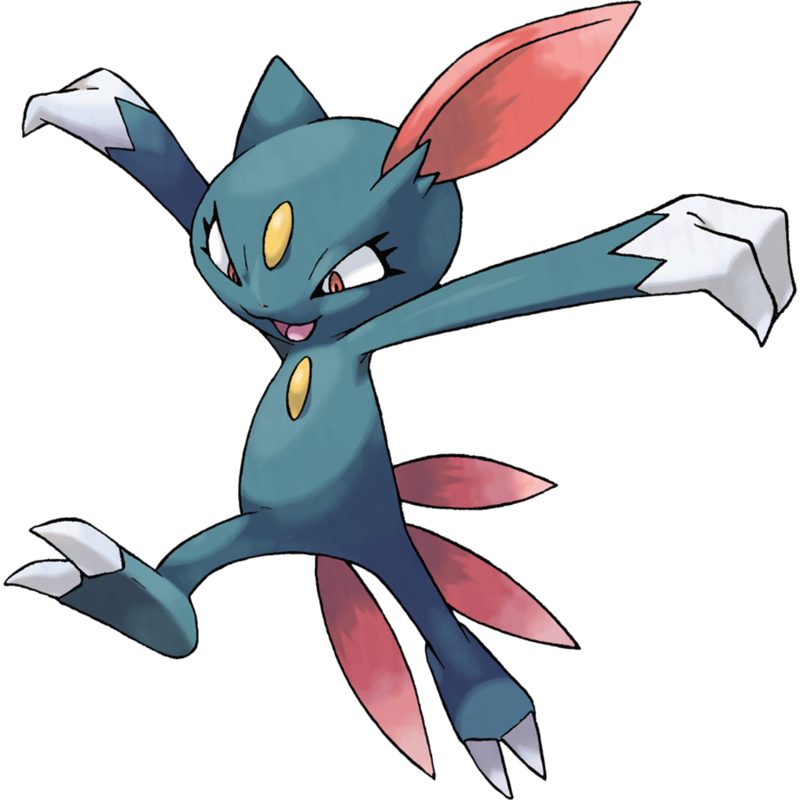 I am not sure when exactly I started pointing at Sneasel as my favorite Pokémon, but I recall seeing it for the first time and thinking it was really cool. It's a weasel-like monster with long, scary claws! It's fast and deadly! Just my sort of thing! (Please imagine an eleven-year-old little girl thinking like this for the full effect). Through the years I've assembled a lot of thoughts about this Pokémon, which is what you will be able to read through this website.